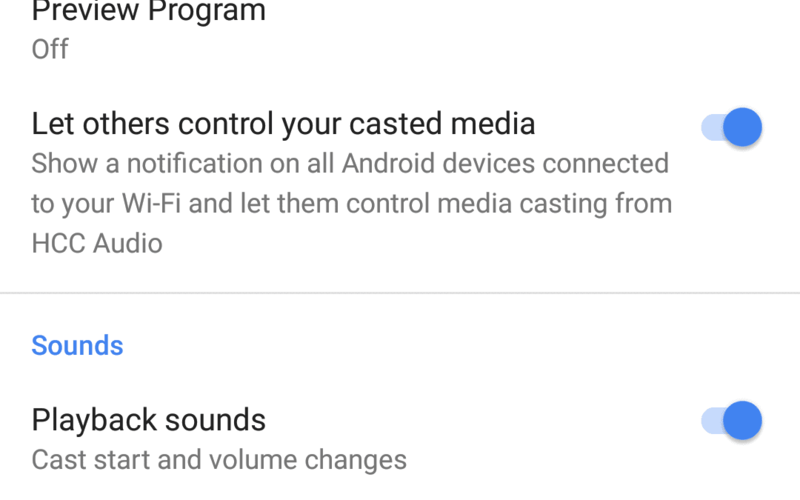 In a bit of an odd move 7 months ago, Google decided to add network-wide notification controls to Android and Chromecast devices. It is a simple idea, really. 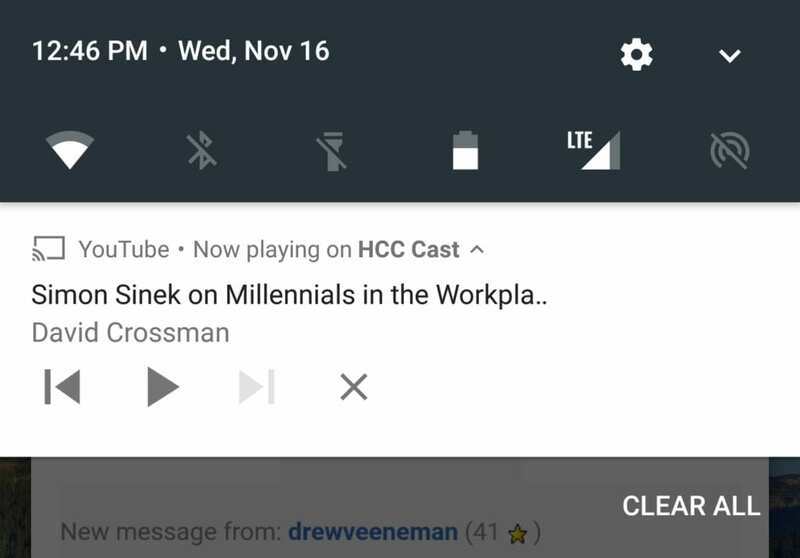 If you are on a network with any casted media occurring, everyone else on the same network gets a little notification with some basic controls for the media right on their phone. And, in many situations, I’ve found this feature to be handy. One of the missteps was Google not really explaining what it was and how to dismiss it without turning off the casting session. Without knowing what it was or why it suddenly appeared, users were very confused as to what was going on and why their phone was showing play/pause controls for something they didn’t even know was playing. Additionally, though a simple swipe would remove the notification (as Android has always done), there was also an ‘X’ up top that most people clicked. That click would simply kill the casting session. The user would be free of the notification, but the people actually enjoying the casting media would immediately see their playback halted. Though Google has changed some of the language in the notification, the feature has still been under fire and simply turning it off has been requested many times. It seems Google has listened and delivered a way to fully remove this notification on a per-Chromecast basis. Via the Google Home app, you can select the device and, in the settings, you will see this toggle now available. Turn this off and your casting session goes back to the semi-private status it once was before all this notification business was even a thing. You are welcome.